I’m not one who usually jumps on the proverbial bandwagon to read the latest trendy novel. But, (you knew that was coming)… this time I’m sure glad that I did. Even though this book is targeted for the “young adult” crowd, I read it anyway. I wanted to know what all the fuss was about – and I found out. I really, really liked this book. I read it in two days. If a person was a faster reader than me, that person could have devoured this novel easily in one day. It’s not a huge book, but there’s no wasted space, either. Every single page was good and interesting and creative. Everyone knows the premise of the book – two teenagers (ages 16 & 17) have different types of cancer, meet, get to know/love each other, and have an adventure. I’m even tempted to go see the movie, even though I know the ending – but then, so does practically everyone else that goes to the movie because SO many people have read and thoroughly enjoyed this novel. We all know the ending. We still want to go. As always, it’s probably best to read the book first, since you can theoretically complete it in a day! 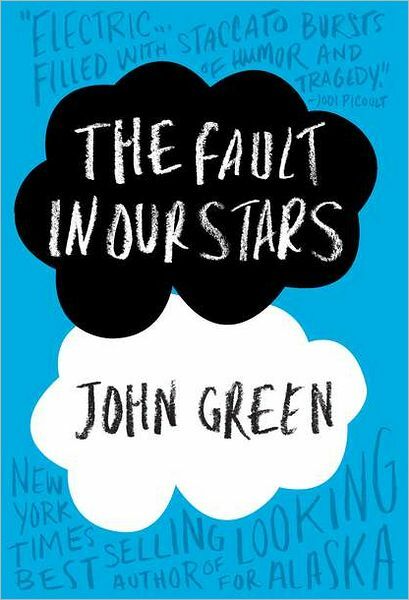 If you don’t go see the movie, at least read the book. It’s good. It’s really good. This entry was posted in Books 2014 and tagged books, cancer. Bookmark the permalink. ← May empties, three bravos, and a boo!